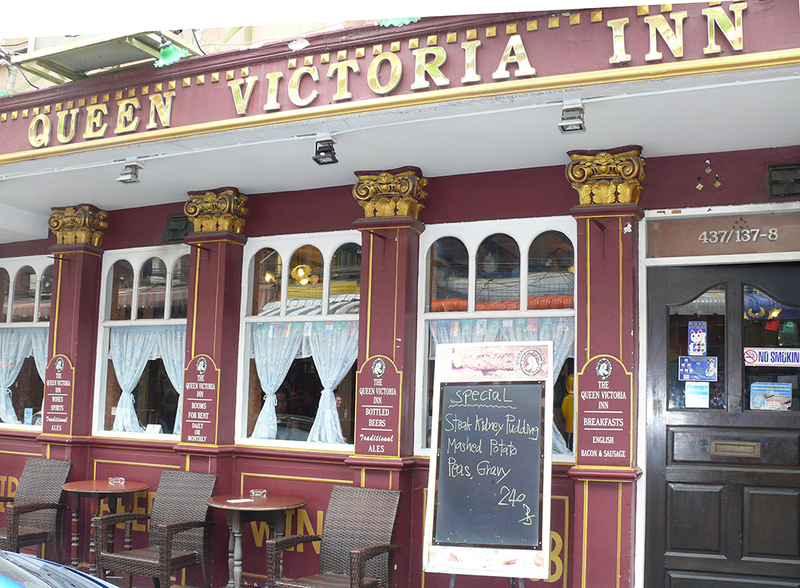 It had been quite a number of years since we had carried out a formal review of the Queen Victoria Inn; however, we had often experienced the Queen Victoria Inn’s outside catering, whose reputation for excellence has always been positive. 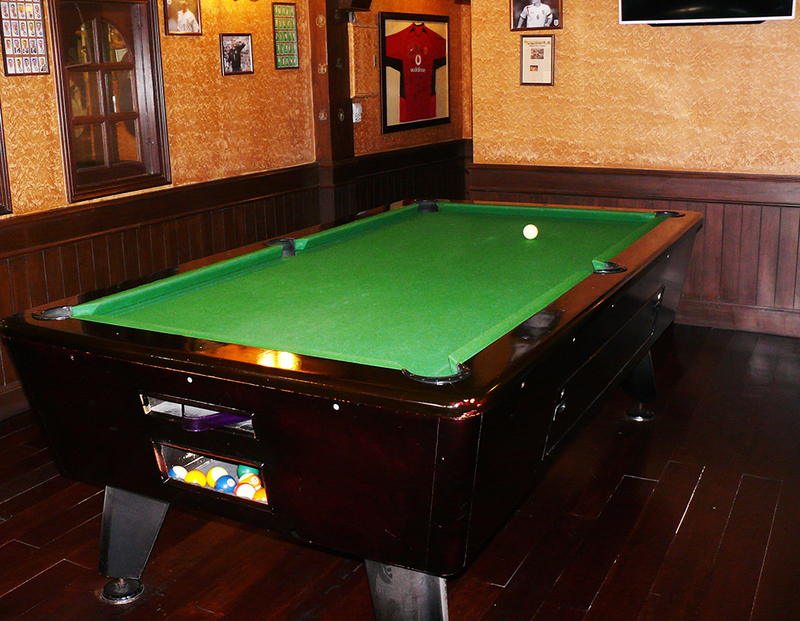 The Queen Victoria Inn is on Soi 6 (North Pattaya), which is also known as Soi Half Dozen and Soi Yodsak. The approach to Soi 6 is on the left from Second Road and the Queen Victoria Inn is half way down the soi on your left. The outside is very English, modeled after the TV show The Eastenders, and is unmistakable. The facade modeled after The East Enders. 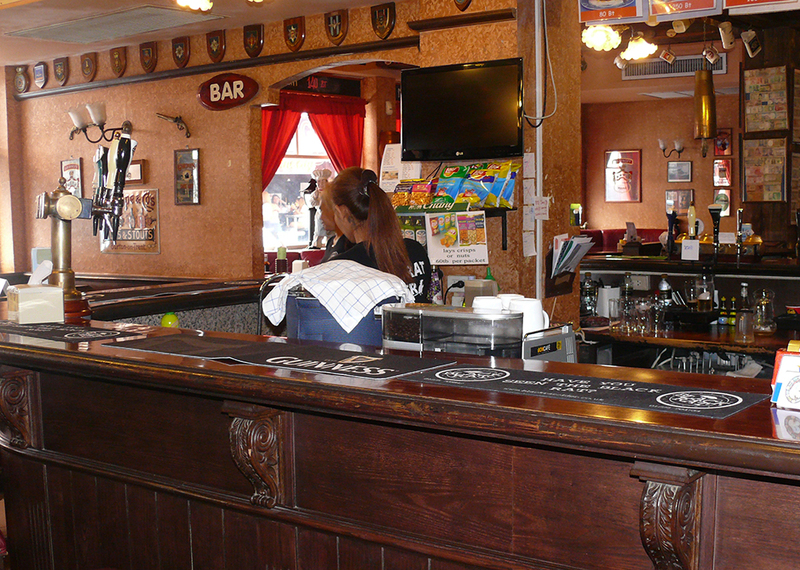 The interior of the Queen Vic is archetypal English public houses. Several forests must have been felled as there is wood everywhere, and not just the central horseshoe bar with its several draft beer dispensers, but in the alcoves, in the games area and on the floors. For those eating in one of the alcoves, there are curtains over the windows to keep the fantasyland of Soi 6 outside, and inside you hear many different English accents. 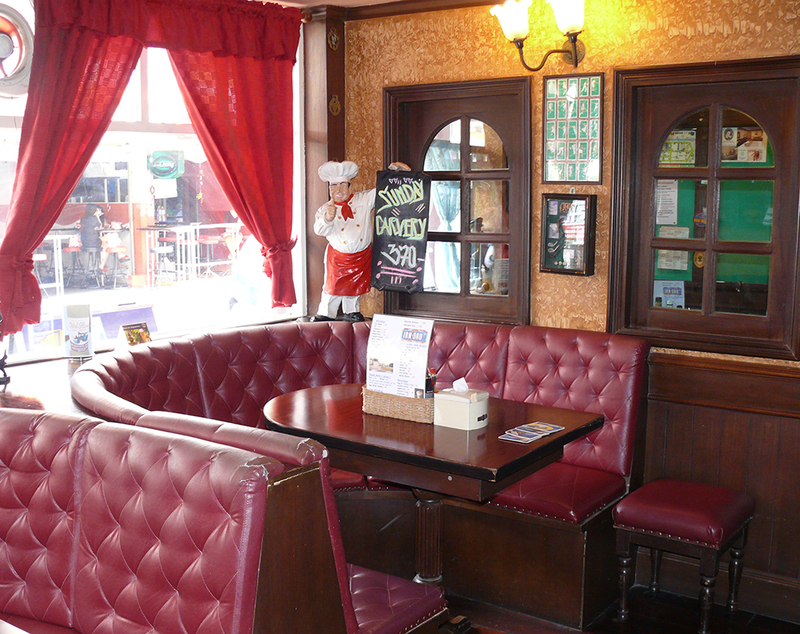 It is undoubtedly a popular English pub. Before you start looking at the menu, I suggest you order a beer, the reason being it is a very large menu and it will take some time to wade through it all. Beers are B. 75 on tap or B. 85 bottles. House wines are B. 120 and those prices set the tone of the complete dining experience. The day begins with breakfasts from 9 a.m. and the all-day breakfast goes through till 10.30 p.m. and range in price between B. 80-250 (for those who wake very hungry). Into the daily items and soups are B. 80, loaded potato skins B. 140 and breakfast baps B. 140. Plenty of wood around the bar. There are no real surprises in the menu, all the standard British fare is there, including a ploughman’s lunch. Fish and chips are B. 290, pies and pastries B. 260 and even NZ lamb chops are only B. 420. Chicken items get a page to themselves with all the different ways of presenting the cluckers at B. 250. Pub grub is up next with egg and chips at B. 220, pizzas at B. 250 and curries (British staple food these days) also B. 250. Steaks come in up to B. 350 and burgers B. 250-280, sandwiches are B. 95. And so it carries on with Lite bites (American spelling in an English pub? Hang your head in shame Vic King!). By the way, there is the carvery on Sundays at B. 370 and during the week there are specials and a B. 370 three course set menu. Kids can eat from the baskets with two sausages in batter and chips, southern fried chicken nuggets and chips or fish fingers and chips all at B. 165. And of course there are many Thai dishes as well with most around B. 180. We did the review one lunchtime, with a perennial favorite of mine (since aged 11) being Egg and chips while Madame ordered the Chilli con carne. Miss Terry’s egg and chips. 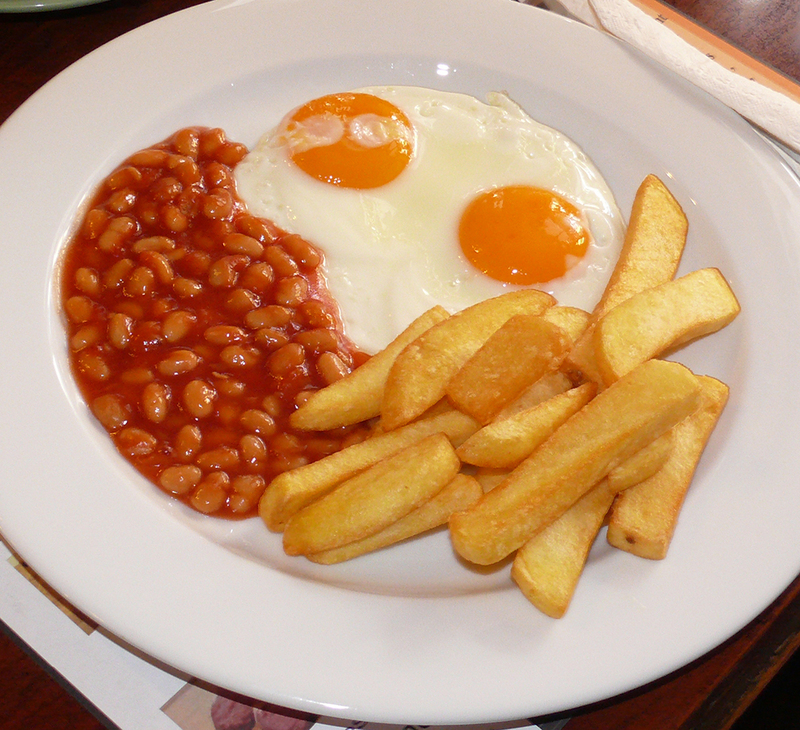 My chips were hand cut and crispy, two eggs done to perfection and some baked beans as well. I enjoyed every bit of it. 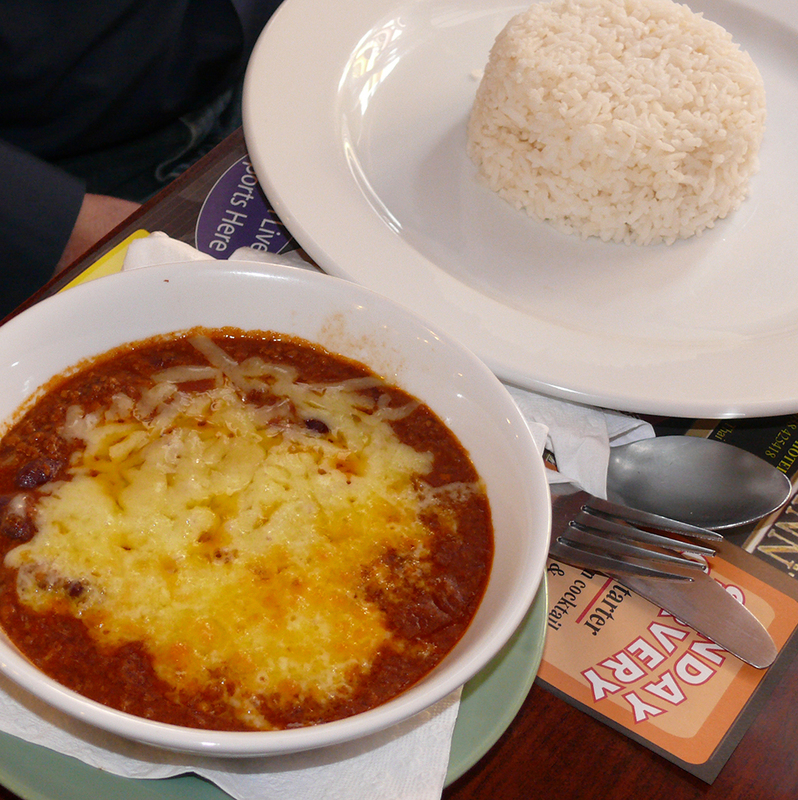 Madame’s Chilli con carne was excellent, with just enough chilli to give the dish the bite it should have. The reason the Queen Victoria Inn has withstood the test of time is its value for money, be that food and/or accommodation. The staff were helpful and happy making it an enjoyable experience. Highly recommended. The Queen Victoria Inn, 437/137-140 Soi 6 (AKA Soi Yodsak or Soi Half Dozen), North Pattaya, telephone 038 425 418, email [email protected], web www.queenvictoria-inn.com. Parking generally available on Soi 6 or on Soi 6/1.